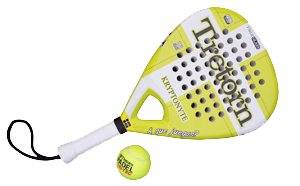 Padel is one of the fastest growing sports in the world. It's a combination of Tennis and Squash that can be played both indoors and outdoors. With a size of around 200m2 a padel court occupies minimal space compared with a Tennis court for example. Three Padel courts, with 12 people playing, can be fitted into the same space occupied by one Tennis court. We offer various models of Padel courts to suit both outdoor and indoor use, as well as fixed and mobile solutions. With years of experience and continuous development of quality, styling and design, we are able to offer the best Padel courts specially adapted to our northern climate. To suit our northern climate, we've developed a unique Padel concept for outdoor use which meets demanding requirements on construction and surface. Our Padel courts have excellent protection from corrosion in welds and steel grid sections. The steel profiles have a thickness of 3,5 mm and are made of a very high steel quality, compared to many other courts that only have 1,5-2 mm thick steel profiles. Our glass is made from the highest quality and is safety tested according to current standards and BSEN 12150-2 certification. The entire construction is also tested by the BSI and all fittings on the court are made of stainless steel in A4-quality. The painting of the courts is done by designated painting contractors for maximum durability and quality. We offer accessories for our Padel courts, such as locking systems, lighting systems, wheelchair-accessible doors and roof solutions creating the possibility of outdoor games regardless of weather and wind. With a roof, you can use your outdoor court all year round. 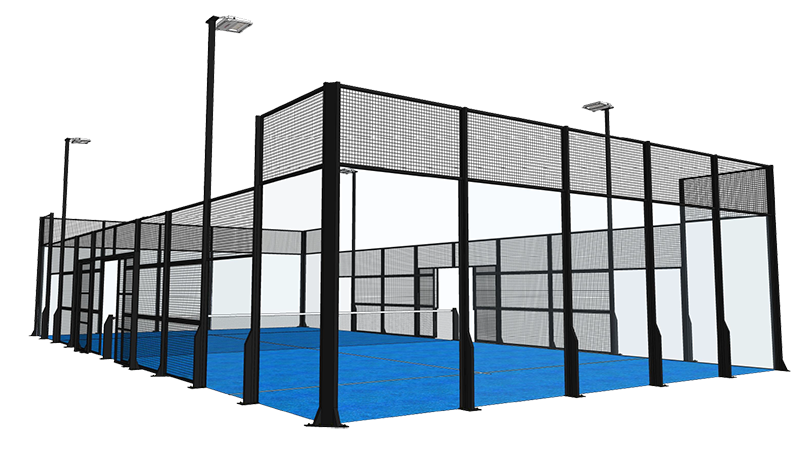 Are you thinking about building a padel court? With extensive experience and unique expertise in both development and installation of Padel courts we can help you to find the best solution based on your needs and circumstances. We carry out installation of both outdoor and indoor courts. We at Unisport can help you with the whole concept -, from planning and,- ground work, to a ready to use Padel court. Don't hesitate to contact us for advice, cost proposal or with any other questions regarding your upcoming Padel project.